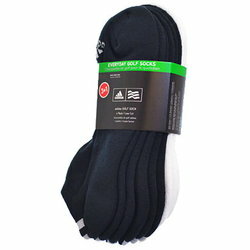 Socks come in packs of 4 including 1 pair of white and 3 pairs of black. 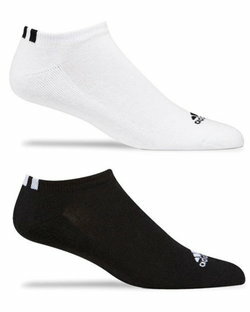 Play comfortably with these Adidas Low Cut Everyday Golf Socks. The soft cotton blend and padded soles will keep your feet comfy while you take on the green. 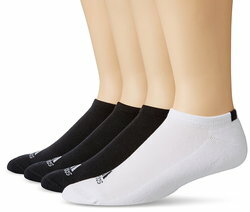 Each pack of 4 pairs contains 3 Black pair and one white.